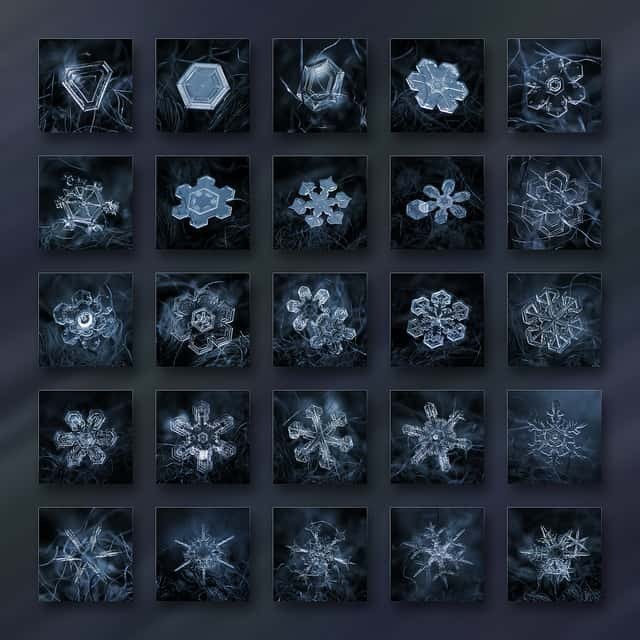 These amazing snowflake photographs were taken by Alexey Kljatov of Russia. Alexey is able to create these stunning pictures because of an innovative photography technique. His camera of choice is a Canon Powershot A650. The technique that Alexey has used is an economical version of a well known reverse lens macro technique. The lens used is a Russian made Helios 44M-5. After the snowflakes have been photographed a very interesting editing technique is used. 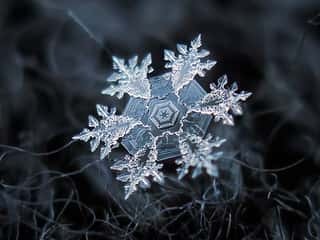 This involves a series of photographs of the same snowflake. The photographs are averaged to find the mean. A Canon Hack Development kit is also used. According to Alexey it is a great tool that enhances camera functionality. It writes both JPEG and RAW shots which is very useful. It is also capable of executing scripts with no delay between shots taken in succession. This technique is so inexpensive that you can probably try it at home.